Newly launched in July 2018, expected to be published quarterly. Please contact us if you would like to suggest future topics or have any feedback for us. As well as posting on the website, we will email these quarterly. 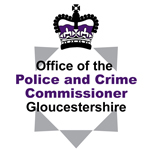 If you would like to subscribe to receive our newsletters via email, please email us at RestorativeGloucestershireCaseReferrals@gloucestershire.pnn.police.uk explaining that you would like to subscribe to our newsletters, along with your name.